CourtAssessments.com™, brought to you by AJ Novick Group, Inc., provides assessments for those that need an evaluation for a DUI Alcohol and Drugs, Anger Management, Domestic Violence and Parenting. Our Assessments can be completed from the comfort of your own home or office. You can order your assessment online and depending on which one you need, it can be completed either by phone, Skype, in person or directly online! All assessments are provided by live professionals and a formal write up will be provided to you to turn into the court or legal entity requiring it. Completing an assessment or evaluation can often be difficult because they might not be offered near you or they are too expensive. 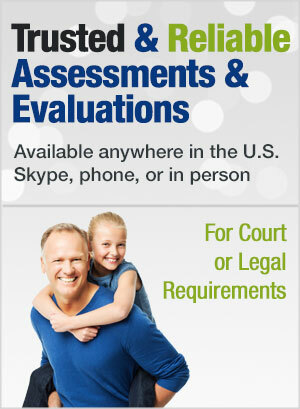 Our assessments can be completed from home and from any location in the United States or abroad. They are professional written up, with recommendations by our licensed and/or certified staff. Same day and Next day services are available! Assessments that are Fast, Professional, and Easy- Order Online, Complete from Home! No need to wait for weeks to get into an agency for your court ordered assessment. Whether you need a DUI assessment, Drug or Alcohol Evaluation or an assessment for anger management, domestic violence or parenting, we can help! Once you order your assessment, depending on the type, you will be contacted within 24 hours (or less) to set up your interview. For anger management and Domestic Violence Assessments, you will be able to complete the questionnaire instantly! Scoring and write-ups generally take 24 hours and are always completed by licensed or certified staff. *We will refund an assessment purchase if the assessment has not been started due to scheduling conflicts. We do not refund assessments/evaluations once they have been completed. If you are unsure if your assessment can be completed by phone, Skype, online or via correspondence, please get prior approval before completing the assessment and receiving the results.